and many other NEW kitchen accessories in stock! Call us today or visit our store! Providing Customers Top Notch Equipment for over 100 Years! You have questions. We have answers. Shopping for foodservice equipment and supplies can be a challenge. Let us guide you through the process and help you make the most of your investment. We have been in the kitchen equipment industry for over 100 years and understand what to do when something goes wrong. More times than not, we are able to help our clients avoid costly repair calls. With Swift you have an equipment expert by your side. 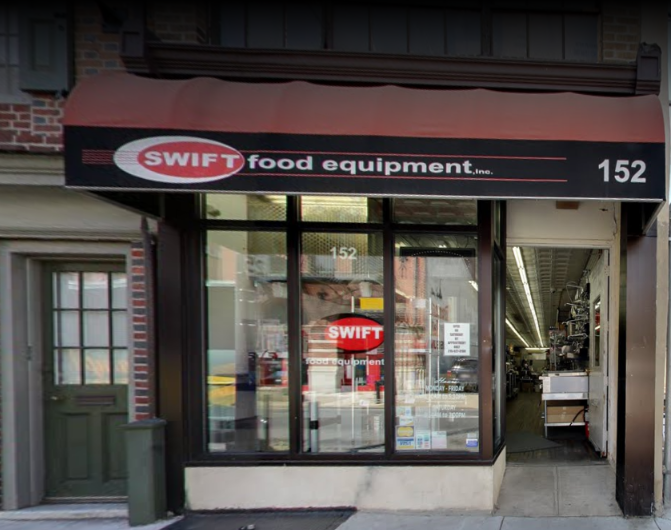 Swift Food Equipment will fulfill your demands. We include peace of mind with every purchase. Thinking of your next purchase or upgrade? © 2017 Swift Food Equipment, inc.